Sometimes, as The Magic Numbers subtly observed a while back, 'those the brokes'. 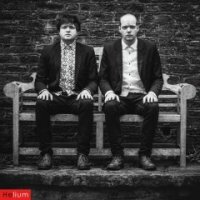 It's a term that means 'sh*t happens' and it certainly did with Electric Soft Parade a few years back when they sank from grace after being justifiably-nominated for a Mercury Music Prize Award one minute, then getting forgotten about by their then record company after a reshuffle of labels. The White brothers opted to spend time on extra-curricular recording-activities as Brakes etc, before Thomas White issued the interesting "The Maximalist" album last year. At last, the Whites have regrouped and have just announced their first live action since supporting Sparks in 2008 - which isn't strictly speaking correct. They played a Maximalism night in Brighton last year as a one-off - until now. During the next few months, Electric Soft Parade will be playing a monthly residency at the Brighton Prince Albert venue, with the aim of covering their entire catalogue for three nights, before performing new material on the last evening. 23rd March sees them perform "Holes in the Wall", the Mercury-nominated debut album plus its b-Sides. 27th April showcases the follow-up "The American Adventure" and "The Human Body", while 25th May sees them recreate their last set "No Need to be Downhearted".